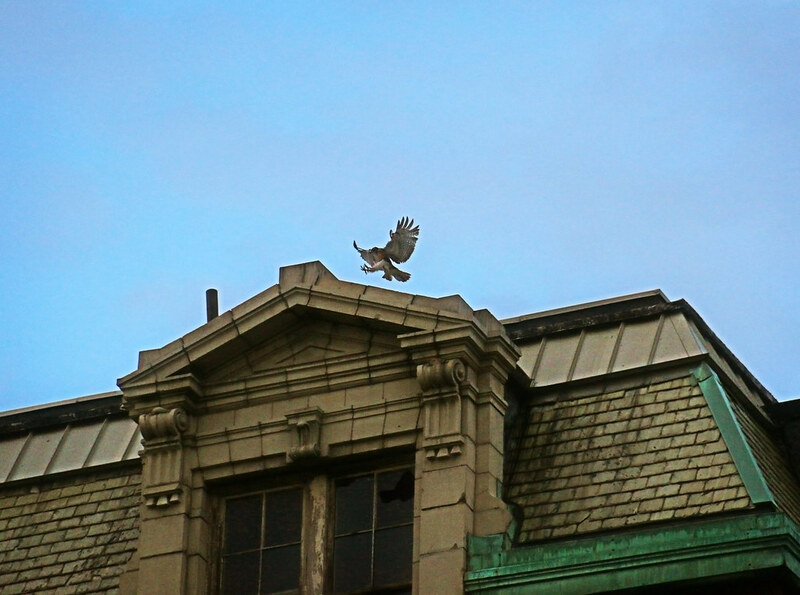 There was some concern last night over the second fledgling as it seemingly disappeared atop CHARAS on 9th Street. 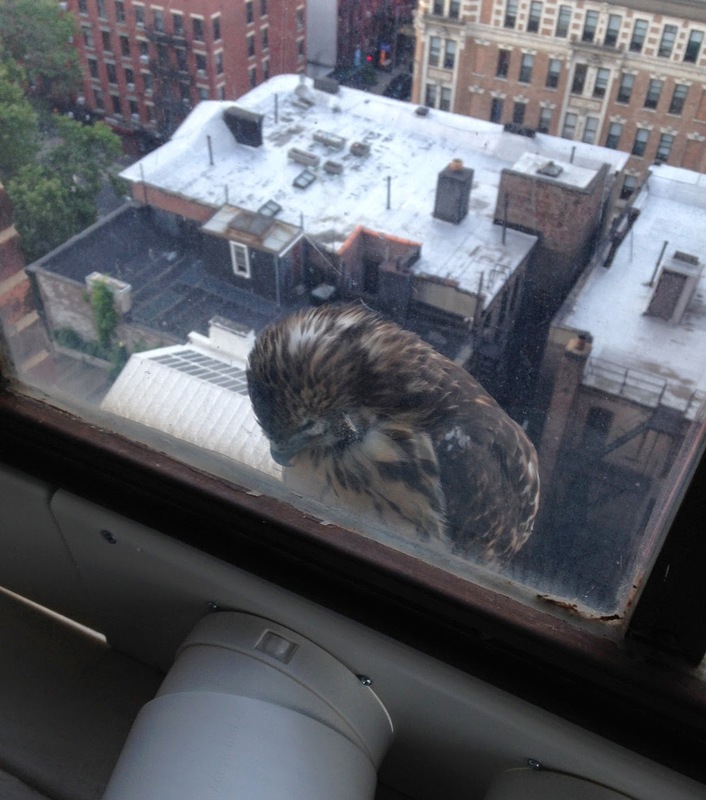 However, neighbor Jessica sent in this photo of the young hawk dozing on her air-conditioner nearby. 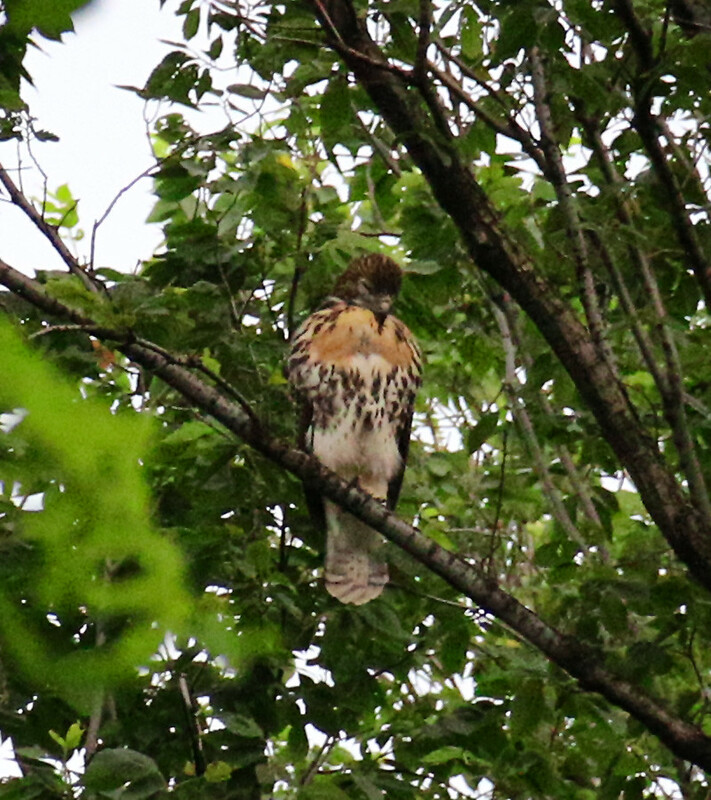 Late this afternoon, I found Shaft in a tree in the park. 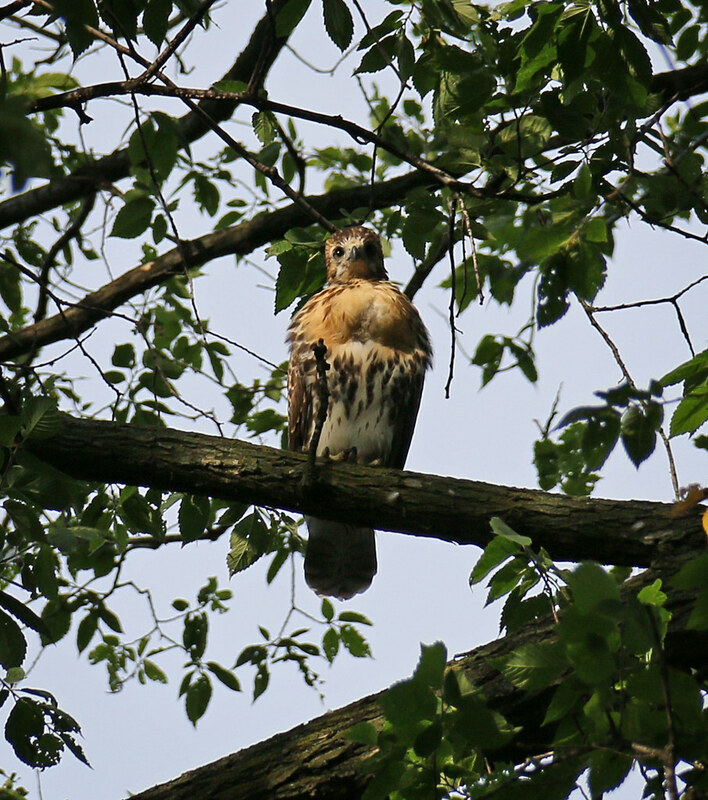 Meanwhile, the fledgling from the air-conditioner took a stab at exploring the trees near the nest. 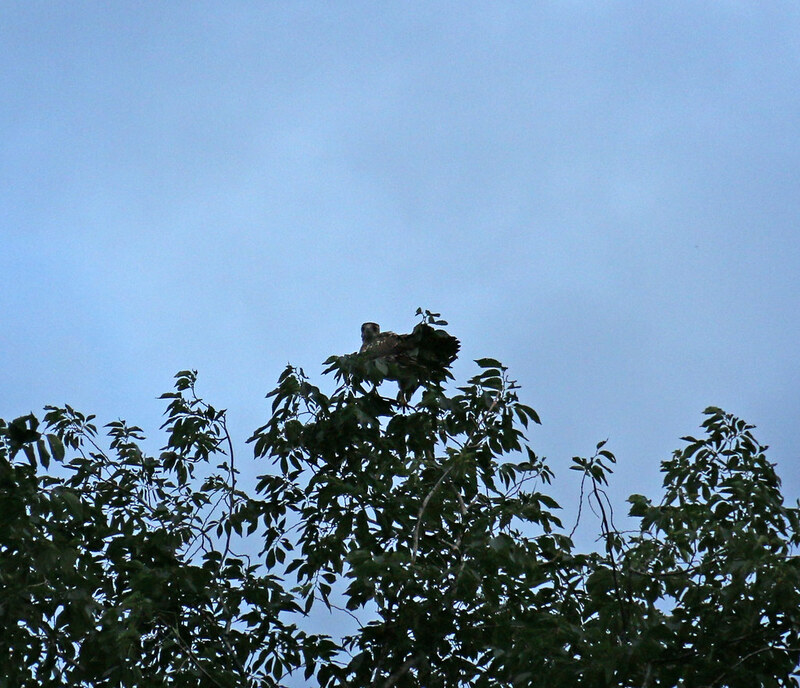 But, ended up frolicking atop the familiar CHARAS. thank you so much for posting these pictures. 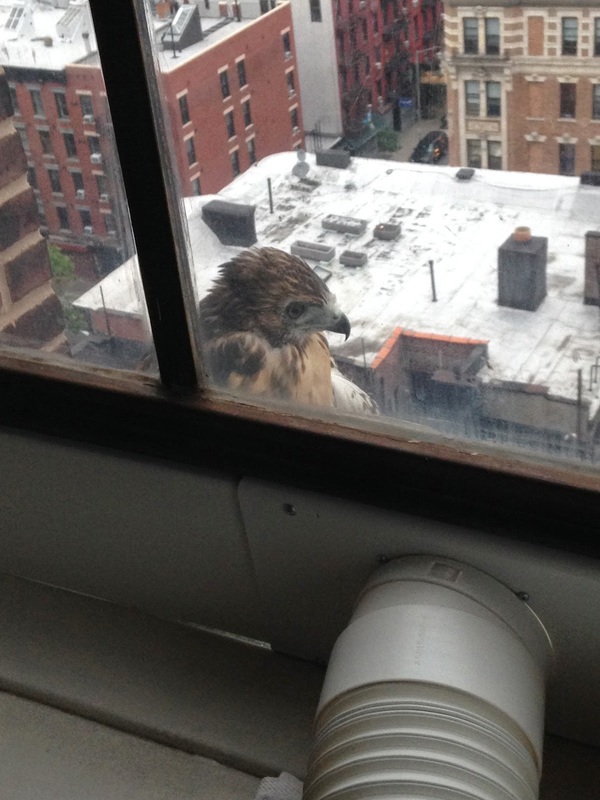 I like to keep up with the hawks now that they're no longer on the nest.